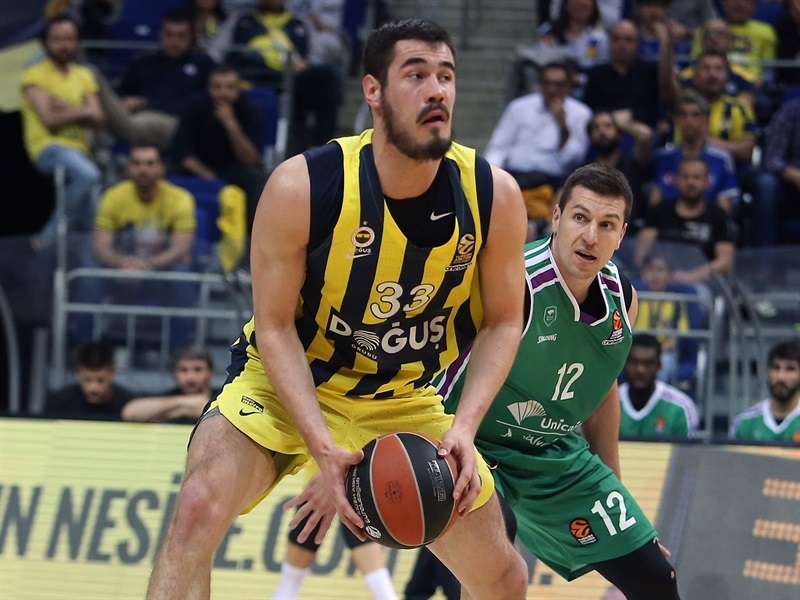 Unicaja Malaga finished its Turkish Airlines EuroLeague season in style by downing defending champion Fenerbahce Dogus Istanbul 91-99 in overtime on the road on Thursday. 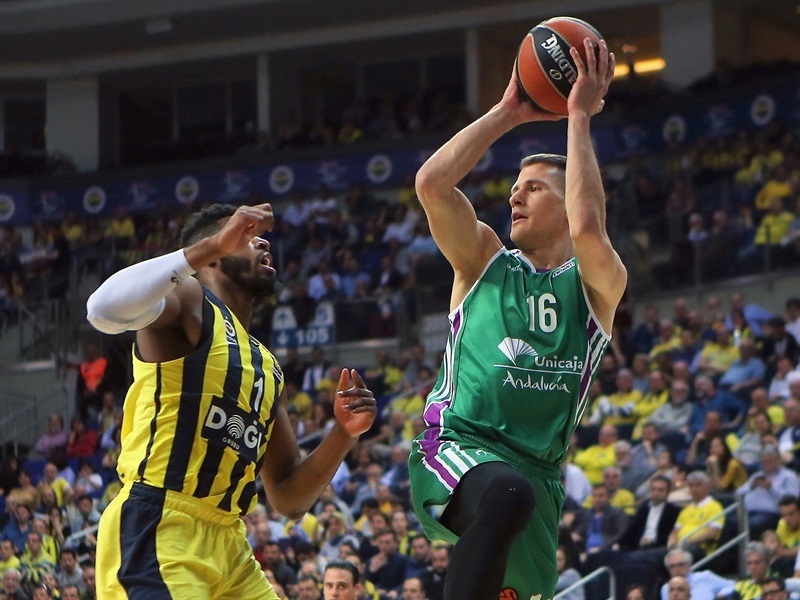 Unicaja finished the Regular Season with a 13-17 record and Fenerbahce was second overall at 21-9. Nemanja Nedovic led the winners with a career-high 31 points, including 13-of-13 free throws, and 8 assists. Adam Waczynski added 18 points, James Augustine 11 and Alberto Diaz 10 for Unicaja. 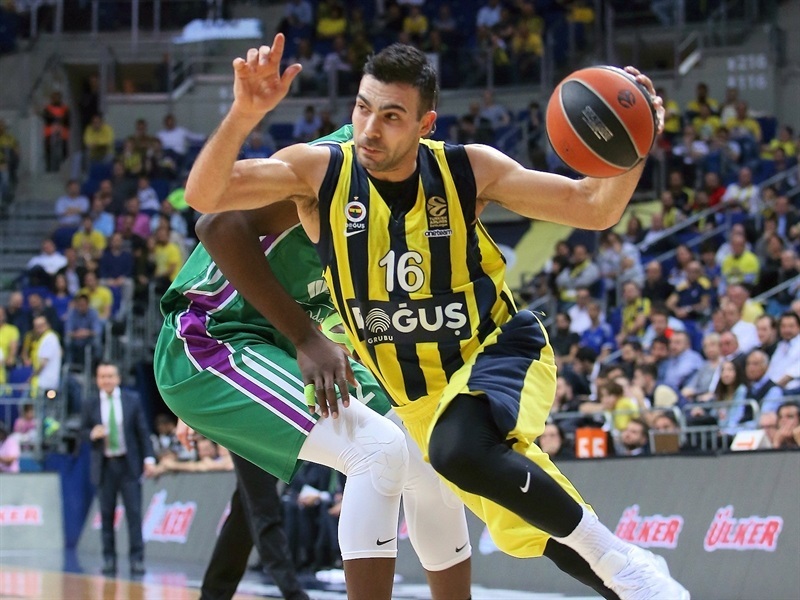 Kostas Sloukas led Fenerbahce with 26 points. 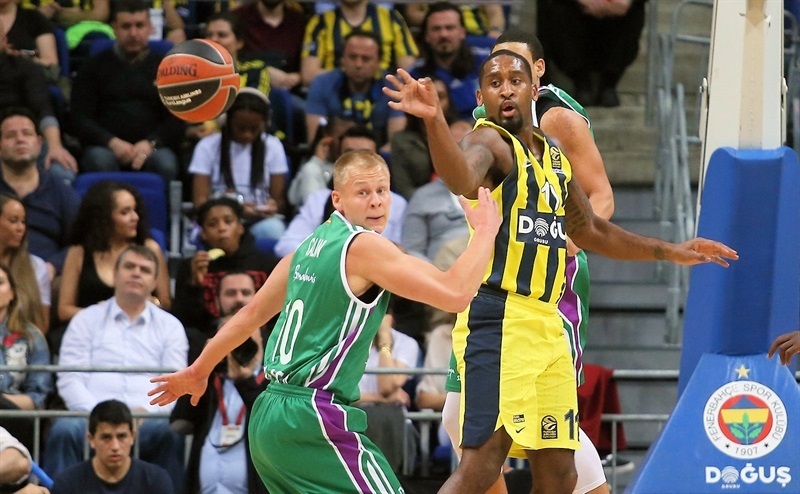 James Nunnally added 19 while Jan Vesely had 14 for the hosts. Sasu Salin led an early 0-9 Unicaja run and three-pointers by Dragan Milosavljevic, Jeff Brooks and Diaz helped the guests get a 14-22 lead after 10 minutes. 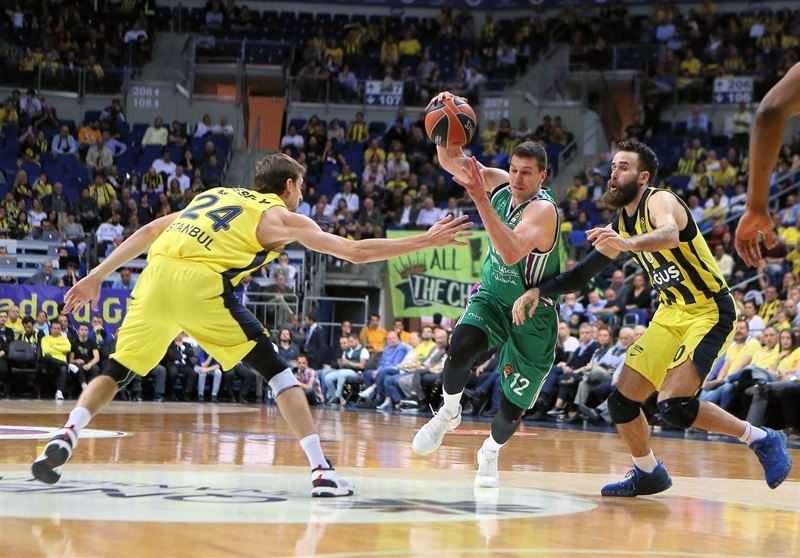 Nedovic had 9 quick points early in the second quarter, getting help from Waczynski for a 20-38 Unicaja margin, which Nikola Kalinic and Vesely cut to 36-47 at halftime. Nedovic kept pacing Unicaja after the break to keep his team way ahead, 51-59, after three quarters. Nunnally had 8 points in a 14-0 run that put Fenerbahce in charge, 64-59. A three-pointer by Diaz restored an 81-83 Unicaja lead with 7.9 seconds left but Sloukas's tip-in sent the game to overtime. Nedovic and Waczynski took over in the extra period, allowing Unicaja to get the win. 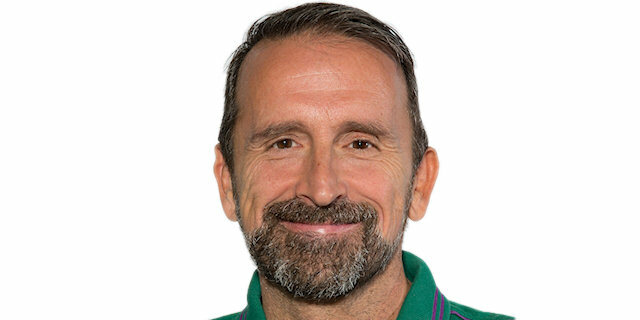 Marko Guduric got Fenerbahce going with a jumper and Brad Wanamaker scored in the low post for a 4-0 lead. Unicaja found a go-to guy in Salin, who followed a triple with a reverse layup in a 0-9 run that put Unicaja in charge, 4-9. Nunnally struck from downtown but so did Milosavljevic, Brooks and Diaz to boost the visitors' margin to 9-18. Luigi Datome hit a jumper and Kostas Sloukas added a three-pointer but Waczynski restored a 14-22 Unicaja lead after 10 minutes. Augustine hit a jumper early in the second quarter and Nedovic stepped up with free throws, a triple and a floater that made it a 15-point game, 16-31. Sloukas nailed a jumper and Vesely dunked but Waczynski followed a three-pointer with a layup and Nedovic scored again for a 20-38 Unicaja margin. Vesely and Kalinic fueled an 8-0 Fenerbahce response, but a layup by Viny Okouo and a three-point play by Dani Diez gave Unicaja fresh air at 31-43. Diez and Brooks made free throws but Kalinic and Wanamaker kept the hosts within 36-47 at halftime. 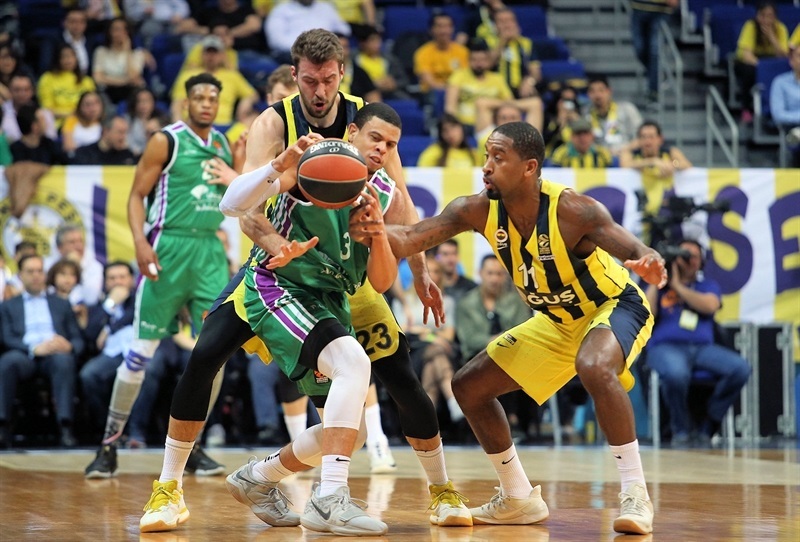 Vesely's free throws and a three-pointer by Nunnally gave Fenerbahce hope at 41-47 right after the break. Milosavljevic took over with an alley-oop slam, however, and Nedovic added a couple of jumpers. 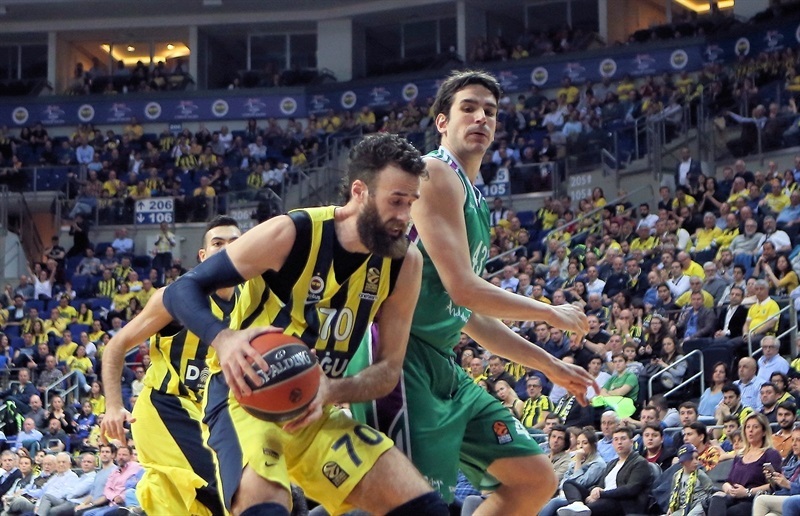 Sloukas and Vesely soon brought Fenerbahce even closer, 48-53. After Augustine hit a jump hook, Nedovic and Datome exchanged three-pointers and a free throw by Carlos Suarez fixed the score at 51-59 after 30 minutes. Nunnally followed a jumper with a three-pointer early in the fourth quarter and Sloukas also struck from downtown to tie the game, 59-59, with 7 minutes left. Nunnally hit another one from beyond the arc and fed Sloukas for his own, but Nedovic and Augustine kept Unicaja within 69-67. Waczynski took over with a layup-plus-free throw and followed Nedovic's layup with free throws to restore a 71-75 Unicaja lead with more than 2 minutes to go. Vesely dunked before Diaz, Sloukas, Nedovic and Nunnally exchanged free throws to make it a one-point game, 79-80, with a minute left. Nunnally hit a jumper which Diaz bettered with a three-pointer for an 81-83 Unicaja lead with 7.9 seconds remaining. Nunnally missed, but a tip-in by Sloukas sent the game to overtime. Diaz split free throws early in overtime and a layup by Augustine gave Unicaja an 83-86 margin. Sloukas scored in penetration, Brooks made free throws and a jumper by Datome kept the hosts within 87-88. Nedovic hit foul shots and an alley-oop dunk by Augustine made Fenerbahce call timeout at 87-92. Nedovic insisted from the foul line and a three-pointer by Waczynski sealed the outcome, allowing Unicaja to celebrate a prestigious win. "It is obvious that we played two different periods, first half and second half. The way we started the game, we almost finished the game the same way. Loads of turnovers: 21 is a huge number for this level of competition; it is impossible. The game gave me a very clear picture of something we must change before the start of the playoffs. We have some days, but our concentration must be for the Turkish League. On the other hand, I want to congratulate my players for the second position in the regular season. Everybody likes to have the home-court advantage and after tomorrow's game, we have to understand against what team we will play. Unicaja played very hard during the season and like I said before the game, they deserve to be between the best eight teams in the EuroLeague. Congratulations to them, they played a really good game tonight. And of course, thanks to our people for the nice atmosphere." "We wanted to try to be ninth. It is true that we are out of the playoffs but we lost at least 10 times by one, two or three points. We know that we are a really experienced team but not in this format. We wanted to be competitive even in our last game. This is our real motivation. 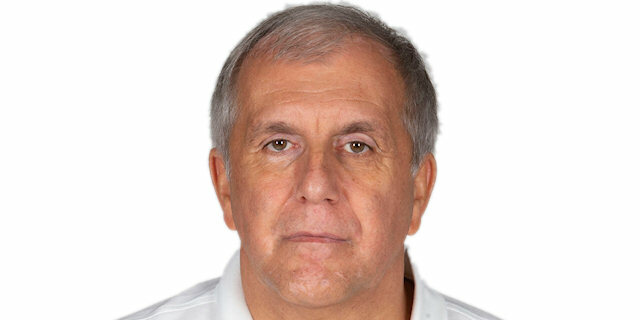 We appreciate Fenerbahce and know that they have the best coach and one of the best teams in Europe. It was a challenge for us. It is logical that their priority is to focus on the next goals. They are going to try to be in the Final Four and that requires to be in good shape, so probably they were thinking more on the next game than on us. I know that Zeljko always tries to win any kind of games, even when you are at home playing cards. They are a winning team but we need to learn how to have this character in Malaga." "It feels good. Our first game was against them and we beat them, and we won again in our last game. It is a great way to end our EuroLeague season but we wanted to qualify to the playoffs. We have a lot of games that we lost by one or two points, and it is a shame. I think that we have great potential and should have been in the playoffs. The aim for next season? It is too early right now because we still have very important two months left on the Spanish League, so I am really focused on that right now. We will see for the future."